Zhengdian Industry Co., Ltd. was founded in 1981. 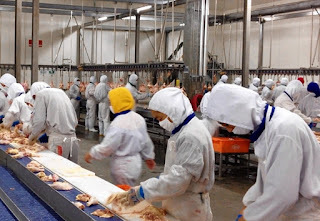 It was mainly engaged in the distribution of live poultry, the supply of chickens, feed and feeding equipment, and then the sale of live poultry and frozen chicken cuts. Until 1995, In response to changes in the market, it has gradually transformed into a professional meat processing factory. Our factory is located in Taiping District, Taichung City, with a total area of ​​2,000 pings. In order to meet market demand, the factory also undergoes substantial reconstruction in 2015. Renovation, becoming an advanced factory that is more in line with international standards. At the same time, the factory has introduced the latest assembly line production equipment from the United States, Japan, and Germany, and combined with Taiwan's accumulated experience in food processing and meat processing for nearly 30 years, research and development conforms to the nationals. Innovative taste [food] products, to provide domestic chain Western restaurant, breakfast shop, coffee shop, hotel, Chinese and Western fast food, convenience store, bakery, supermarket, group meal, farmer's market demand for quality ingredients. ROOM 401 MILLE BUILDING 335 SEN. GIL PUYAT AVENUE CORNER DOMINGA STREET PASAY CITY. Passport, UMID, DIPLOMA, TOR, F137,NBI, PSA - Birthcertificate, SSS ID, VOTERS ID, TIN ID and Certificate of employment.